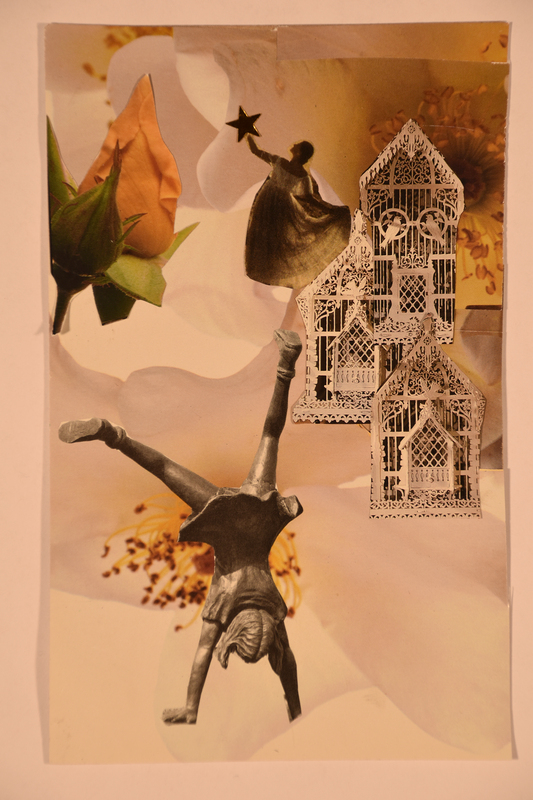 Continuing the theme of excitement, another collage about the book. 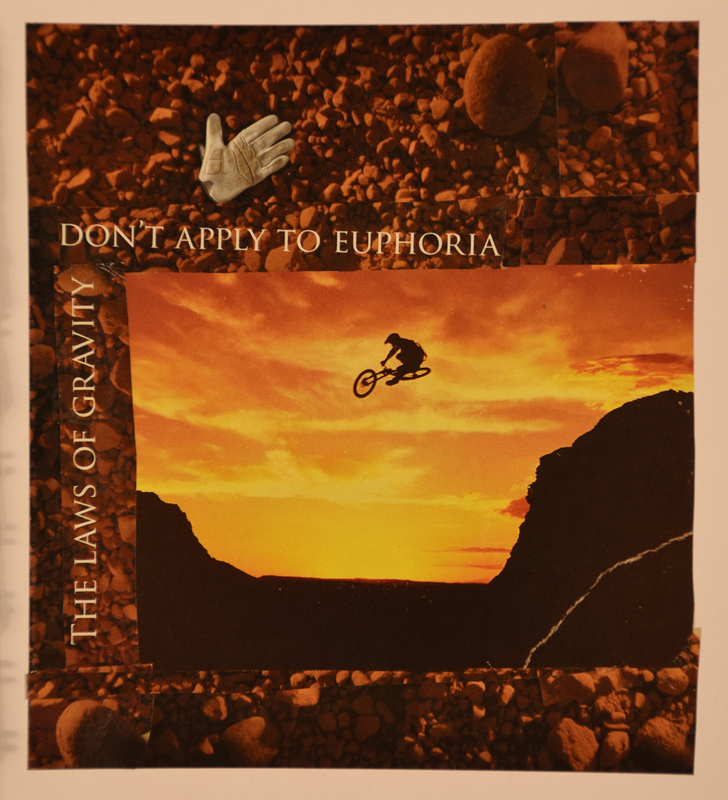 I had seen this ad in many magazines and always loved the bicyclist flying off the mountain. While I have had dreams/nightmares with a similar theme I just now related to the thrill of taking a leap of faith buoyed by euphoria-a great word. I am so pleased that I actually pushed through all the insecurities and doubts along the way and completed the book. However now that the writing is complete I have to consider post publication promotions, events, and move into more areas that evoke new insecurities and doubts. So this is about excitement and apprehension, the tension before the leap; holding back or moving forward.